Are you working in the water space? Do you have the next breakthrough in the water sector? Interested in organizing or helping out? Prior to joining the Alliance in July of 2007, Mary Ann was Executive Director of the California Urban Water Conservation Council, a non-profit organization composed of urban water supply agencies, environmental groups, and other entities managing statewide water conservation in California and implementing the nation’s first set of Best Management Practices. Mary Ann has over 40 years of experience, having worked at the Metropolitan Water District of Southern California, the South Central Connecticut Regional Water Authority, and the Connecticut Department of Environmental Protection. 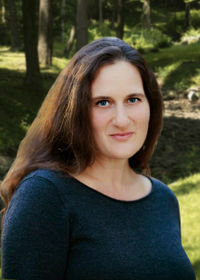 A graduate of the University of Connecticut with a degree in environmental planning, Mary Ann has authored numerous publications on water conservation, land use planning, and natural resources management, and has co-produced two films which have aired on public television and community cable stations. Mary Ann is past Chair of the Efficient Urban Water Management Specialist Group for the International Water Association, past Chair of the American Water Works Association National Water Conservation Division, past President of the California Irrigation Institute, past President of the Lake Arrowhead Community Services District, and currently serves as a Board member of the Green Building Initiative, and Texas Water Foundation. Mary Ann has presented numerous papers on water conservation internationally and all across the United States and Canada. James Workman, founder of the online water savings trading platform, AquaShares Inc., is a leader in the quiet power and equitable design of resource conservation markets. Drawing on extensive field experience, he wrote the award-winning book book "Heart of Dryness: How the last Bushmen can help us endure the coming age of permanent drought," and co-authored the forthcoming "Hydrodiplomacy: A manual for amateur ambassadors in transboundary rivers." He studied at Yale & Oxford, and taught at Wesleyan & Whitman colleges, but his real education came blowing up dams, releasing wolves, restoring wildland fires, guiding safaris, smuggling water to dissidents, breaking down in Africa's Kalahari Desert, and becoming a dad. Starting as an investigative journalist, Workman has served as White House appointee to U.S. Interior Secretary Bruce Babbitt, later joining the World Commission on Dams under Nelson Mandela. Now based in San Francisco, he advises on rights-based resource management for the Environmental Defense Fund, the World Conservation Union, and the International Water Association, where he was founding editor of The Source, a magazine offering practical intelligence for water professionals. Jim Lochhead was appointed Denver Water’s CEO/Manager in 2010. Lochhead leads 1,100 employees in providing a reliable water supply to Denver and surrounding suburbs. Lochhead also oversees stewardship of a system that includes 4,000 miles of watershed land, 20 reservoirs, four treatment plants and 3,000 miles of pipe. Prior to Denver Water, Mr. Lochhead was in private law practice, dealing with national and international natural resource issues. He was also executive director of the Colorado Department of Natural Resources. Mr. Lochhead was the Colorado governor’s representative on interstate Colorado River operations and served on the Colorado Water Conservation Board, The Nature Conservancy and Colorado Conservation Trust. Mr. Lochhead has a bachelor’s degree in environmental biology from the University of Colorado and a law degree from the University of Colorado School of Law. Alex Bakalian is the Global Lead for Water Supply and Sanitation for the Water Practice in the World Bank in Washington D.C. Prior to assuming this role in December 2017, he was the Practice Manager for WB operations in West and Central Africa. He is well recognized for his leadership role in the sector and his over 25 years of operational and policy work in Latin America, Middle East and Sub-Saharan Africa. Alex is a civil engineer (with a degree from American University of Beirut) and has a PhD in Environmental Health Engineering from Johns Hopkins University. Alex has also completed a MBA from the Georges Washington University. How much water do major cities consume? What are the municipal water footprints in major cities, due to direct and indirect water use by individuals and industries? What accounts for variability in municipal water footprint? 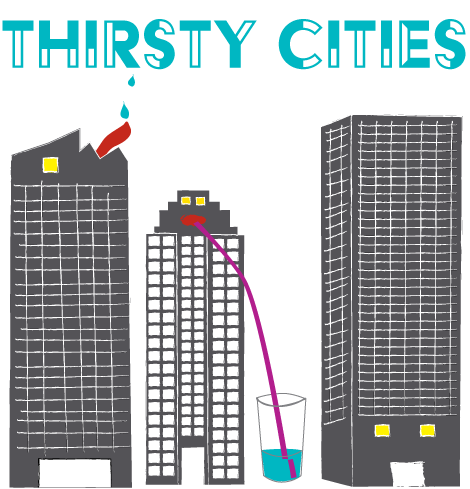 How do we reduce water consumption in cities? Lauren Nicole works at the Water Global Practice at the World Bank. 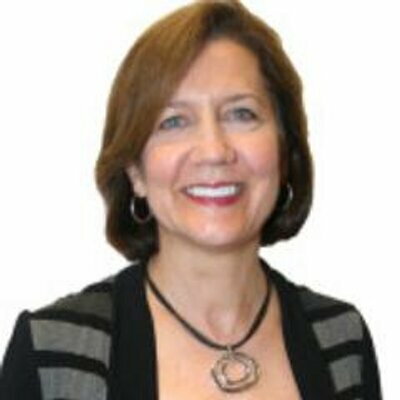 She has experience in Europe and Central Asia, East Asia and the Pacific, Latin America and the Caribbean, North America, and South Asia with nonprofits, intergovernmental organizations, academia, government, and the private sector. Colin is a political scientist interested in the social determinants of environmental behavior. His research focuses on how politically defined groups condition actor expectations in ways that affect the likelihood of engaging in environmental actions. He's interested in the determinants of pro-environmental behavior across different political domains and levels of analysis, from motivating individuals to conserve waters, to what makes countries more likely to ratify multi-lateral environmental agreements. As a member of the Subscriber Services Team, Jennifer Warner liaises with large water and wastewater utilities and partners/collaborators in the Great Lakes states, New England states, and New York. Complexity of urban water management makes it a prerequisite for effective action. Who are the different stakeholders and decision-makers in a given city? What are the dynamics between the different stakeholders? What are the primary interests and drivers of each stakeholder? How can stakeholder interaction and engagement be optimized for efficient management of a city’s water? Mr. Horsley has twenty-five years of professional experience in the field of water resources and wetlands management. He holds degrees in Biology and Marine Policy. He has worked as a consultant to federal, state, and local jurisdictions, and private industry throughout the United States, Central America, the Caribbean, the Pacific Islands, and China. Mr. Horsley serves as an instructor for a nationwide series of U.S. Environmental Protection Agency (EPA) workshops on water resources management. Mr. Horsley was appointed to and has served on a number of advisory committees including the Massachusetts Climate Change Adaptation Advisory Committee, the Massachusetts Stormwater Advisory Committee and the Massachusetts Sustainable Water Management Initiative. Mr. Horsley has received national (US EPA) and local awards (Mashpee Conservation Commission) for his work in the wetlands and stormwater management fields. Mr. Horsley is a recipient of the 1999 Environmental Technology Innovator Award from the U.S. Environmental Protection Agency for designing constructed wetlands for stormwater and wastewater treatment. He has taught numerous seminars in water resource protection, and is an Adjunct Professor at Tufts University where he teaches courses in Water Resources Policy, Low Impact Development and Wetlands Management. Before joining MWRA in June 2001, Mr. Laskey served as Commissioner of the Massachusetts Department of Revenue from 1991 to 2001, managing the Commonwealth's tax administration, child support enforcement and local services. He served as Secretary of Administration and Finance from 1998 to 1999. As Secretary, he was the Governor's chief financial advisor, with oversight of the state's $20 billion annual budget and managed the Cabinet Secretariat that oversees the entire state workforce. Before joining the Cabinet, Mr. Laskey served as Senior Deputy Commissioner of the Massachusetts Department of Revenue from 1994 to 1998, and was designated by the Commissioner to serve as Assistant Secretary in the Executive Office for Administration and Finance. 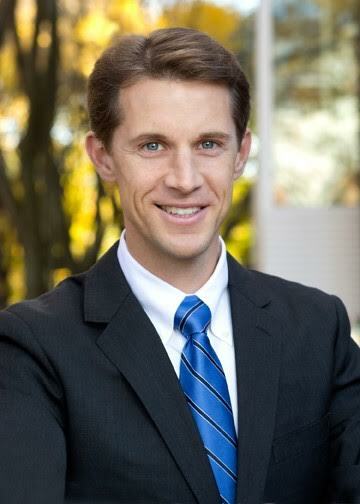 Mr. Laskey holds a Bachelor of Arts degree in Political Science and History from the University of Massachusetts, Boston. Professor Susskind's research interests focus on the theory and practice of negotiation and dispute resolution, the practice of public engagement in local decision-making, entrepreneurial negotiation, global environmental treaty-making, the resolution of science-intensive policy disputes, renewable energy policy, climate change adaptation, socially-responsible real estate development and the land claims of Indigenous Peoples. He is Founder of the Consensus Building Institute, a Cambridge-based, not-for-profit that provides mediation services in complicated resource management disputes around the world. He also was one of the Co-founders of the interuniversity Program on Negotiation at Harvard Law School. Achilles Kallergis is a Research Scholar in the NYU Urban Expansion program. He is also a doctoral candidate in Public and Urban Policy and teaches at the Graduate Program for International Affairs at the New School University. His research interests include urbanization in the developing world with a particular focus on informal settlements. He has consulted for the Gates Foundation, UN-Habitat and the World Bank and has collaborated with community networks such as Slum Dwellers International and the Asian Coalition for Housing Rights. What is an urban water market? What players would be involved in urban water trading? How can water markets help equalize water distribution and pricing? What steps need to be taken to create a water market in a given city? Paul is the Assistant Director of the Rates and Revenue Requirements Division of the Massachusetts Department of Public Utilities. He has a B.A. in Public Administration from Stonehill College, and has been with the MDPU since 1980. He has been involved in all aspects of utility regulation from telecommunications to tow trucks, with a focus on water utility regulation, utility revenue requirements and financing, and the arcane field of what he calls “Massachusetts regulatory archaeology.” Paul is a member of the National Association of Regulatory Utility Commissioners’ Staff Subcommittee on Water, and serves as the MDPU’s representative at various water-related committees. He taught water accounting and rate design at the Institute of Public Utilities’ annual regulatory studies program at Michigan State University, and has assisted at a number of NARUC Water Rate Schools. He authored and presented a paper about regulatory staff perspectives on rate relief to the American Water Works Association, and has been a panelist at meetings of the National Association of Water Companies’ New England Chapter. Carlos is an advisor with a fiscal transparency program in Central America that has as partners several key stakeholders, including the Ministry of Finance, USAID and Deloitte. This program focuses on making more transparent in budget documents and financial statements the subsidies between the state-owned enterprises such as the water utility and other government agencies, consumers and private producers. These subsidies include, but are not limited to, tariff subsidies, uncollected accounts receivable, government loan guarantees, tax subsidies and concessional loans. Carlos holds a master's degree from Georgetown University and was a SPURS Fellow and Visiting Scholar with the MIT Department of Urban Studies and Planning. Jonathan is an Associate at Analysis Group, an economic, financial, and strategy consulting firm headquartered in Boston, where he works in the energy and environmental practice area. Prior to joining Analysis Group, Jonathan conducted research on a range of water policy related topics, including the Las Vegas “Cash-for-Grass” rebate program. He has also explored the diverse perspectives surrounding a proposed in-state water transfer in Nevada, and had the privilege of travelling in the Mississippi Delta with fellow graduate students learning about the river’s management. Jonathan’s circuitous route through academia began at Davidson College studying Physics. He then earned masters’ degrees in Mechanical Engineering from Purdue University and Technology and Policy from MIT. He recently received his doctorate in Public Policy from Harvard University. What technological solutions can be used to improve the existing infrastructure in cities? How can we enhance data collection from water supply networks to optimize water quality and water management? To reduce water consumption and cost? To increase communication between municipality and its citizens? Dr. Chi Ho Sham is a Vice President and the Chief Scientist of Eastern Research Group, Inc. (ERG), leading the drinking water protection practice that integrates service areas such as wastewater management, water conservation, water resource planning, drinking water protection, and water quality restoration. He provides technical leadership and advice on scientific research and policy development issues, on projects in source water protection, impacts of wildfires and forest management on water quality, and aquifer storage and recovery. He has been principal investigators for numerous water-related research projects and has delivered many workshops on drinking water issues. He is an active member of the American Water Works Association and is currently the chair of its Technical and Educational Council – overseeing and coordinating activities of 8 technical divisions that comprise of 60 plus committees and over 2,000 volunteers. In addition, he leads and participates in the development of policy statement, contribution to manuals of practice, oversight of the innovation initiative, and promotion of operational standards. He received his B.A. from the University of Regina in Canada and his M.A. and Ph.D. from the State University of New York at Buffalo. Prior to joining the consulting field, Dr. Sham was a faculty member of Boston University from 1982 to 1992. Currently, he is an adjunct professor and a research fellow at Clark University in Worcester, Massachusetts. Dr. Allen is a co-founder of Visenti (a Xylem brand) and Executive Director of Embedded Systems. He leads the development of Visenti's RTUs and their associated software for intelligent sensing, processing and real-time transmission. Michael holds a PhD in Computer Science. His research focused on the development and integration of high data-rate wireless embedded sensing systems and on-line data processing algorithms. From 2009 to 2013 he was a Postdoctoral Associate at the Singapore MIT Alliance for Research and Technology (SMART), where he worked on the development, integration and deployment of Smart Water Network Technologies for Singapore’s water distribution system. Mary Conley Eggert is passionate about seeing great technology transform our world for good. She was inspired at WEFTEC 2015 to switch careers to solve the harrowing issues of demand for water exceeding the supply by 40% by 2029 and the extinction of marine life by 2048 without appropriate action. 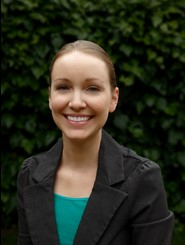 Dr. Megan Plumlee is the Director of Research and Development (R&D) for the Orange County Water District. She oversees a team of scientists and researchers who coordinate and conduct applied physical, chemical and biological research that supports and enhances the District’s core operational needs; research and review promising new technologies to improve water quality and increase the efficiency of OCWD’s recycled water treatment and groundwater recharge operations; and participate in scientific advisory panels, research advisory boards and project advisory committees to help guide external research efforts related to District activities. Dr. Plumlee previously served as the manager of the applied research group at Kennedy/Jenks Consultants and as a senior scientist at Exponent, Inc. In addition to applied research, she has worked on projects for municipal and industrial clients spanning a wide range of topics including non-potable and potable water reuse, contaminants of emerging concern, costs for advanced treatment, tracer studies, groundwater resources, constructed wetlands, bench testing form water/wastewater treatment studies and much more. Dr. Plumlee has also authored and contributed to several peer-reviewed publications. Dr. Plumlee holds Doctorate and Master of Science degrees in Environmental Engineering and Science from Stanford University and a Bachelor’s degree in Chemistry with a minor in Physics from Pacific University. She is a registered Professional Civil Engineer in the State of California. Watchtower Robotics, manufactures Lighthouse, a shuttlecock-shaped robot that travels through water pipes to detect leaks. It's an elegant solution to a big problem - over 20% of the world's clean water is lost to pipe leaks. The company will soon begin pilots in Australia and in Cambridge, Massachusetts. If you were starting from scratch, how would you design a city to optimize water use and management? What would the infrastructure, an individual’s home, and water utilities network look like? How could these be structured in such a way that maximizes wastewater reuse? John Sullivan is the Chief Engineer of the Boston Water and Sewer Commission (BWSC). John has over 46 years of experience in water and wastewater engineering. Mr. Sullivan has a degree in Civil Engineering from the University of Massachusetts in Amherst, and an MBA degree from Northeastern University, as well as a Master’s degree in Emergency Management from Massachusetts Maritime Academy. Anthony is an experienced design and field ecology professional with over fourteen years of combined experience in habitat restoration, ecosystem monitoring, and landscape architecture. Drawing upon his diverse background, Anthony plays a critical role in Sasaki’s interdisciplinary practice collaborating with landscape architects and allied professionals on a daily basis; helping project teams advance their understanding of natural processes and potential impacts across a project site, watershed, and eco-regional context. With experience on over 100 local, domestic, and international projects at Sasaki, he is engaged in ecological and regenerative aspects of both landscape and master planning efforts, helping project teams foster a more holistic design approach to working with a site. Anthony holds a Master of Landscape Architecture from the University of New Mexico, and a Bachelor of Science in Natural Resource Management & Conservation Biology from the University of Wisconsin-Stevens Point. 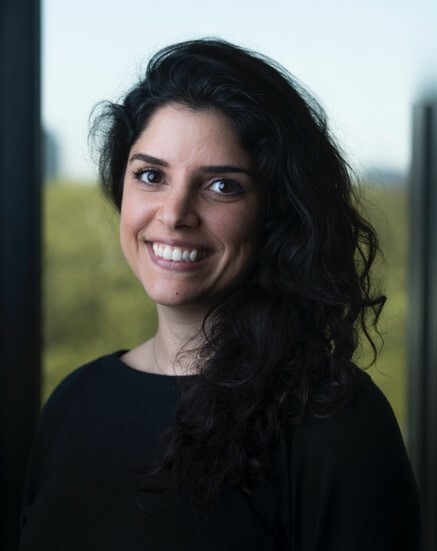 Newsha K. Ajami, Ph.D., is the director of Urban Water Policy with Stanford University’s Water in the West and NSF-ReNUWIt initiatives. 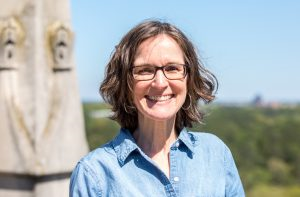 She is a hydrologist specializing in sustainable water resource management, water policy, the water-energy-food nexus, and advancing uncertainty assessment techniques impacting hydrological predictions. Her research throughout the years has been interdisciplinary and impact driven, focusing on the improvement of the science-policy-stakeholder interface by incorporating social and economic measures and relevant and effective communication. James L. Wescoat, Jr. is an Aga Khan Professor of landscape architecture and geography in the Aga Khan Program for Islamic Architecture at MIT. He co-directs the Norman B. Leventhal Center for Advanced Urbanism. At MIT Jim teaches courses on Islamic Architecture and the environment, Islamic gardens and geographies, Water-conserving design, and Landscape heritage conservation. His current water research includes studies of Rurban Water Planning in Maharashtra with the MIT Tata Center for Technology and Design, and Water-Energy Nexus management in Punjab Pakistan and the UAE. His current landscape research includes studies of Indo-Islamic waterworks and gardens in Delhi, the Deccan, and Lahore; and collaborative work with the Aga Khan Trust for Culture and Aga Khan Agency for Habitat. He is a fellow of the American Society of Landscape Architects, and a lifetime member of the U.S. National Research Council. How are cities and other water users interconnected with each other? How do different entities come to an agreement about water use that is beneficial to all the players? How do cities adapt to changing times in the presence of existing agreements? How do policy changes at different tiers of governance affect cities? What are the policy changes that could be made at a higher tier of governance, which would help cities to prevent, combat, and mitigate water shortage? Yasmin Zaerpoor is a Ph.D. Candidate in the Environmental Policy and Planning Group within the Department of Urban Studies and Planning at the Massachusetts Institute of Technology (MIT) and a Graduate Student Fellow in Harvard Law School’s Program on Negotiations. Her doctoral research is on transboundary water negotiation in the Nile River Basin. More specifically, her research delineates the perceived procedural and non-procedural obstacles to collective action as identified by negotiators from Egypt, Sudan and Ethiopia. She holds a M.S. in Urban Planning from Columbia University and a B.S. in Animal Physiology and Neuroscience from the University of California – San Diego. Dr. Portney is the holder of the Bob Bullock Chair in Public Policy and Finance, and the Director of the Institute for Science, Technology, and Public Policy. He teaches courses in natural resource and environmental policy and management at the Bush School of Government, Texas A&M University. Previously, he was the director of the Water and Research Program at the Center for International Environment and Resource Policy (CIERP) at Tufts’ Fletcher School of Law and Diplomacy. Dr. Portney’s areas of expertise include environmental policy, urban sustainability, urban politics, economic inequality, and policy analysis. Ana Lucía leads the California Groundwater Program’s outreach to environmental justice groups and disadvantaged communities to vet ideas, listen to concerns and build support on groundwater pilots and market initiatives. She builds constructive partnerships with disadvantaged communities and designs outreach strategies to expand and deepen bilateral relations to advance policies that promote sustainable water and groundwater management in the Central Valley. 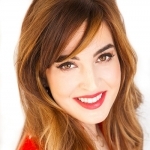 Tania Carlone is a Senior Associate at the Consensus Building Institute. She brings more than 20 years of experience in community organizing, organizational leadership and education in the United States and internationally. For the past 10 years, Tania has provided facilitation and mediation services with a focus on collaboration and consensus building in multi-party water and natural resources policy environments. Prior to coming to CBI, Tania was a Senior Mediator at the Center for Collaborative Policy at California State University Sacramento. She is based out of the San Francisco office. Tania’s primary focus is building the capacity of parties to collaborate and reach agreement on complex issues. Tania assists individuals and groups with diverse perspectives collaborate in various policy areas, most notably water and natural resources as well as land management and land use. She works with a wide range of stakeholders, including federal, state, and local agencies; tribal governments; disadvantaged communities; nonprofits; and advocacy groups. Megan Mullin is Associate Professor of Environmental Politics at the Nicholas School of the Environment, with secondary faculty appointments in the Department of Political Science and the Sanford School of Public Policy. She currently serves as Director of Graduate Studies for the University Program in Environmental Policy (UPEP). Mullin is a scholar of American political institutions and behavior, with emphasis on environmental politics. She studies the intersection between environmental conditions and political decision making. She has published broadly in political science, public administration, and general science outlets, and she teaches and advises students in the areas of environmental politics, local politics, and water governance in the United States. Before coming to Duke, Mullin served on the political science faculty at Temple University.